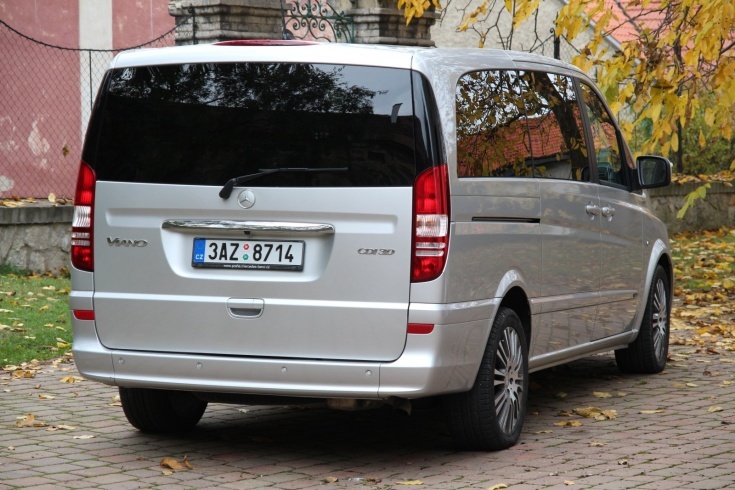 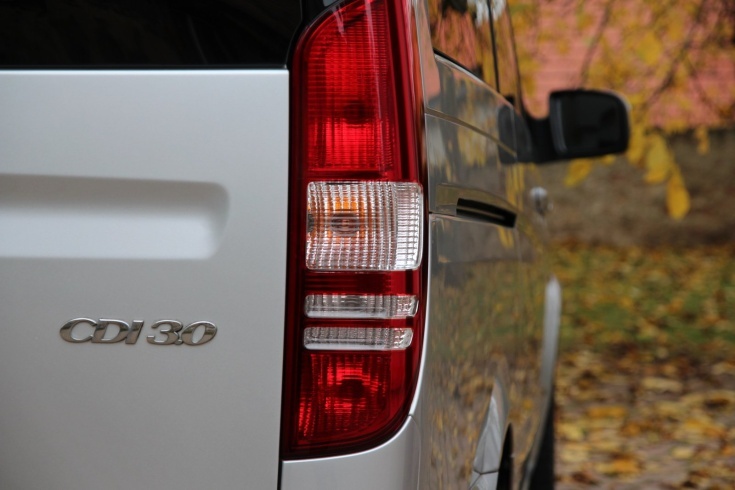 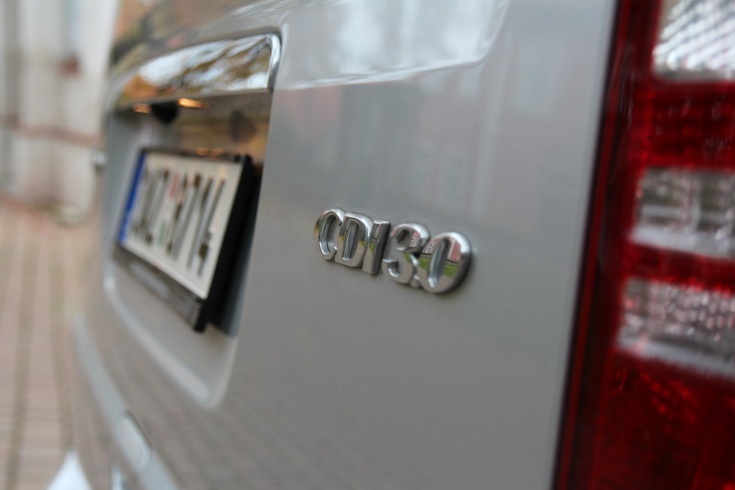 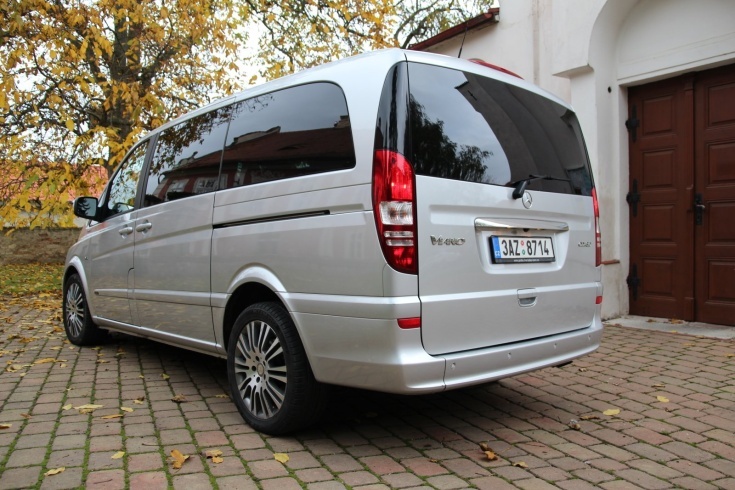 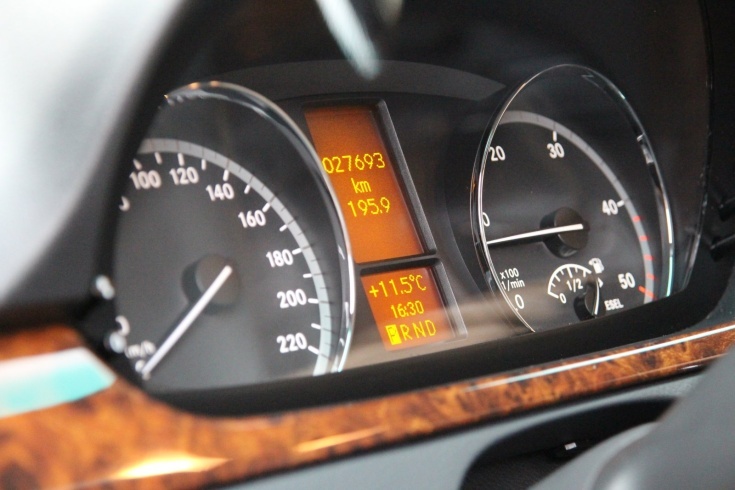 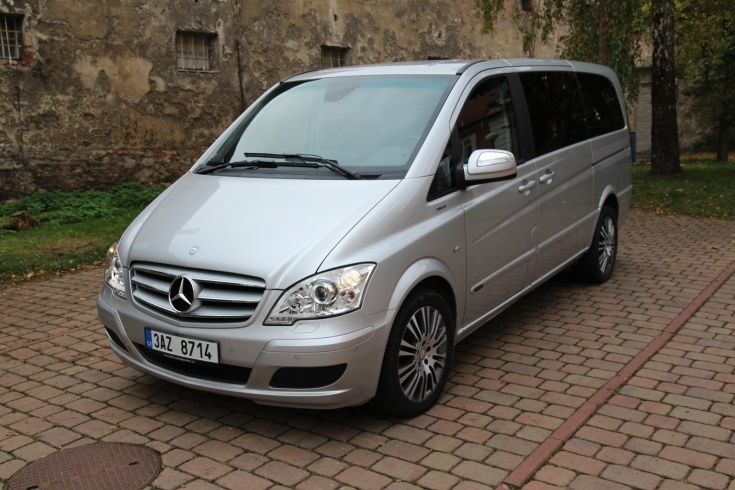 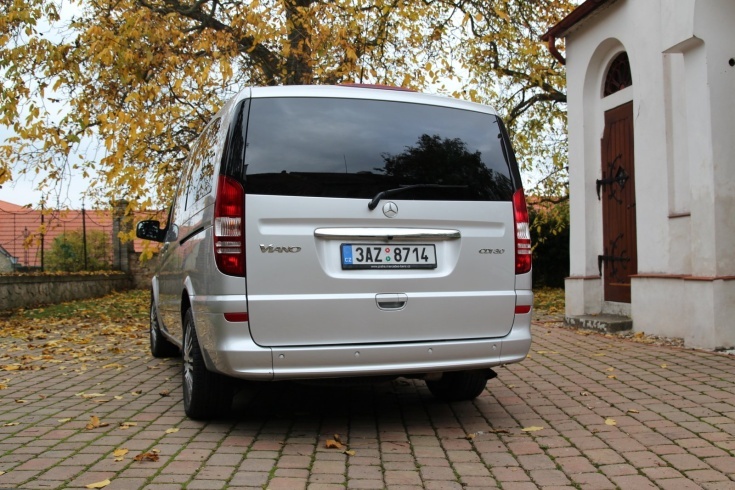 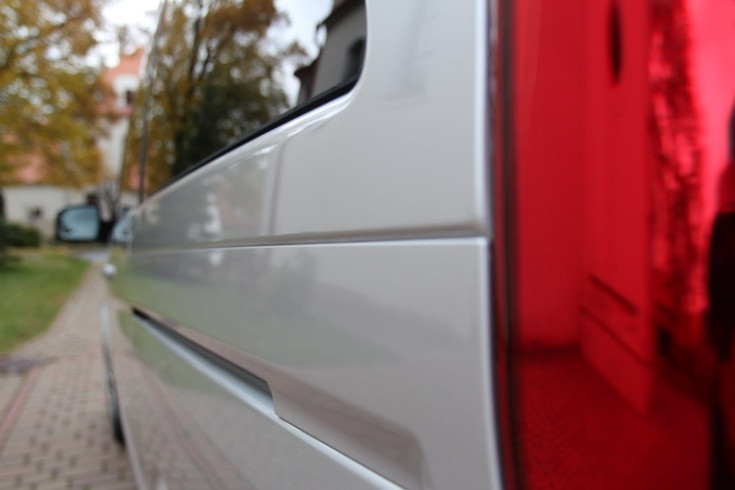 Mercedes Benz Viano is a luxury German minivan. 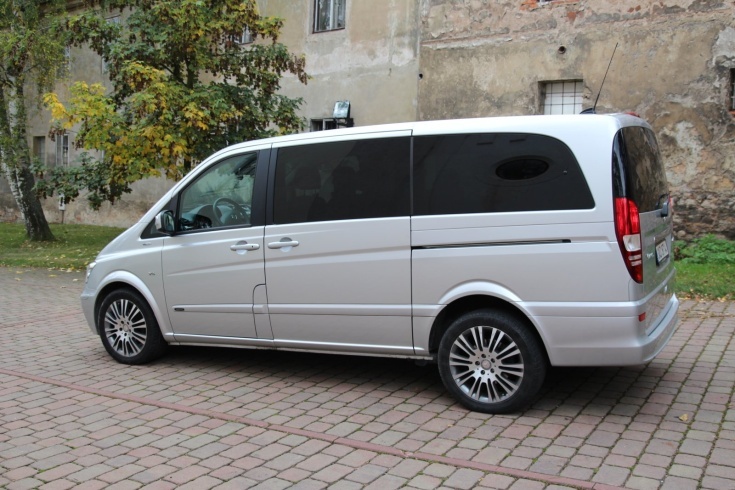 The vehicle is offered in two sizes L and XL. 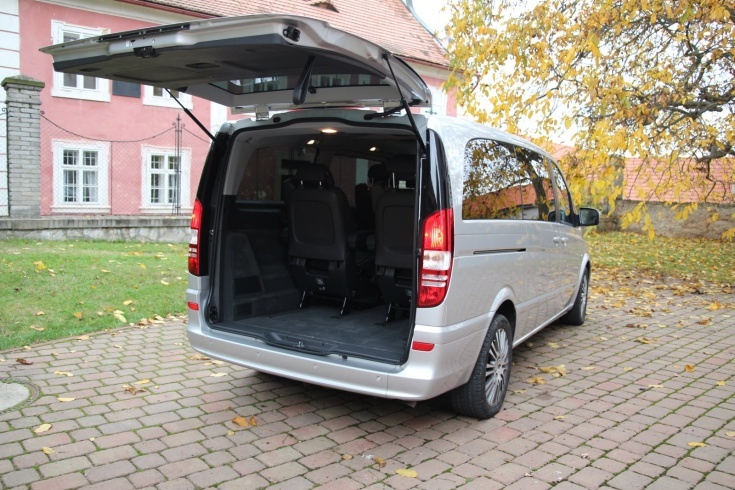 L version is for up to 5 passengers and a driver, XL version is available in V class category (newer version of VIANO) for up to 7 passengers and a driver. 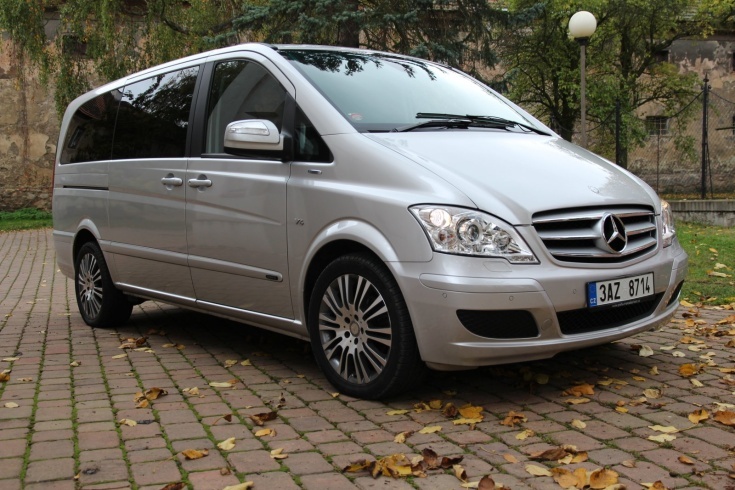 Mercedes Benz Viano offers 5 captain individual seats equipped with independent seatbelts. 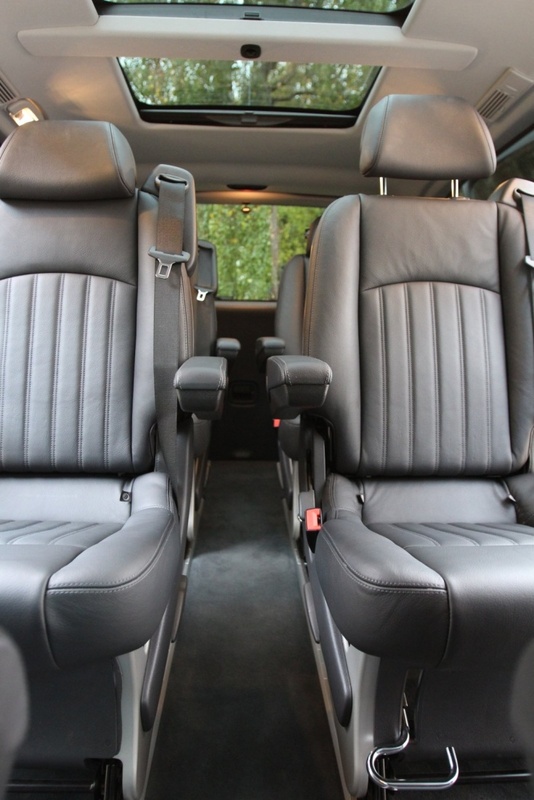 All seats and interior is leather. 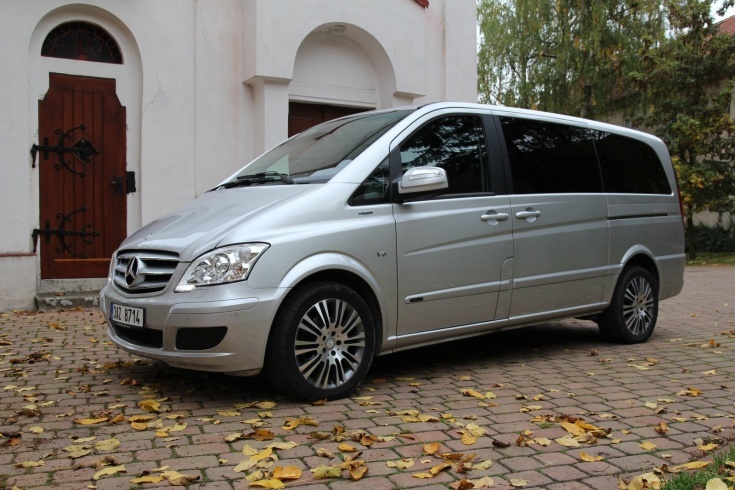 Panorama glass roof extense the interior space and feeling of luxury and comfort. 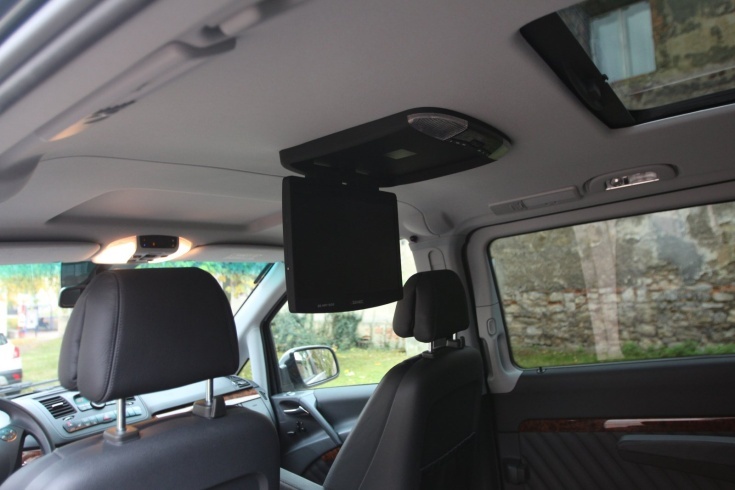 During the long distance transfers we offer option to watch DVD's on the 13'' LCD or listening to individual music played over the Blutooth on the Viano's sound system. 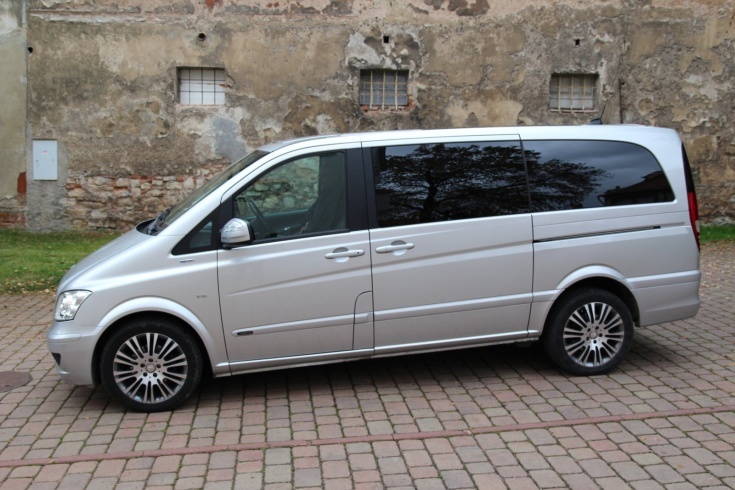 The seats in Viano and V class can face each other in the passengers' area. 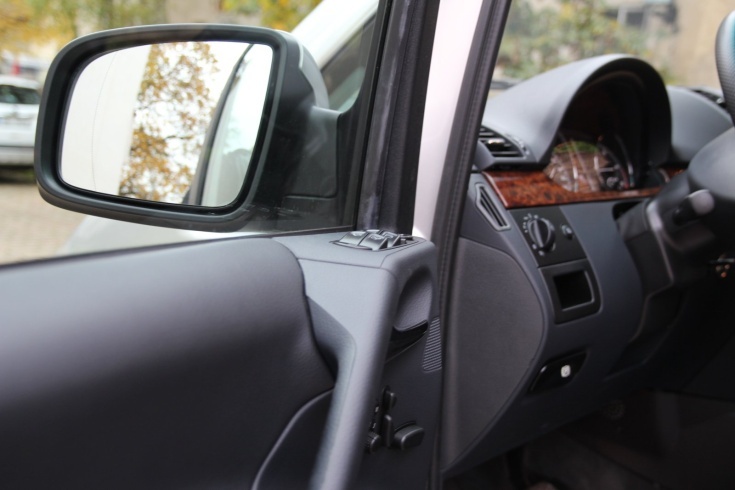 Holding a meeting in complete privacy on the way is not a problem. 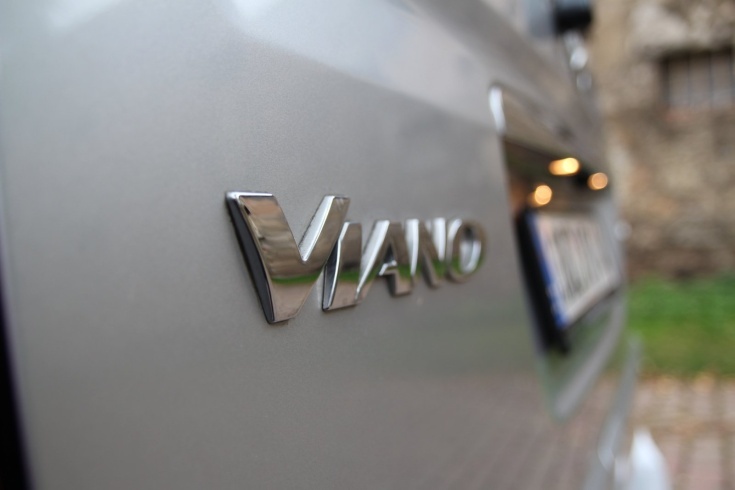 Viano has two electronic controlled sliding doors, black tint windows and is strictly non smoking. 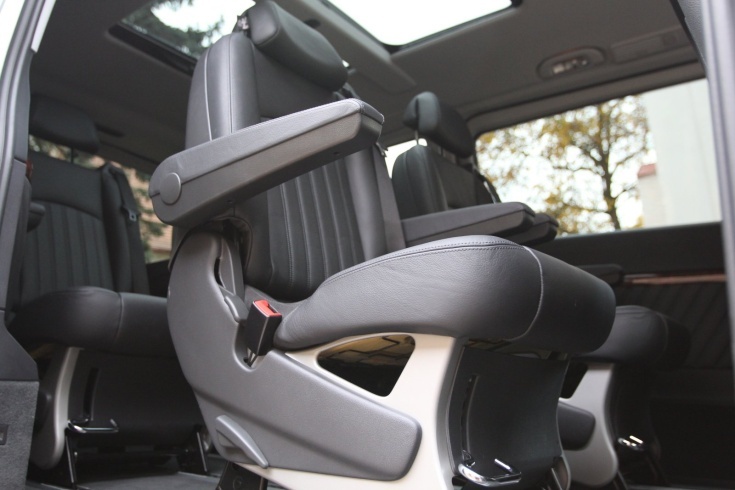 The minivan is super comfortable thanks to the air suspension, which automatically adjusts travel comfort to the weight of the load. 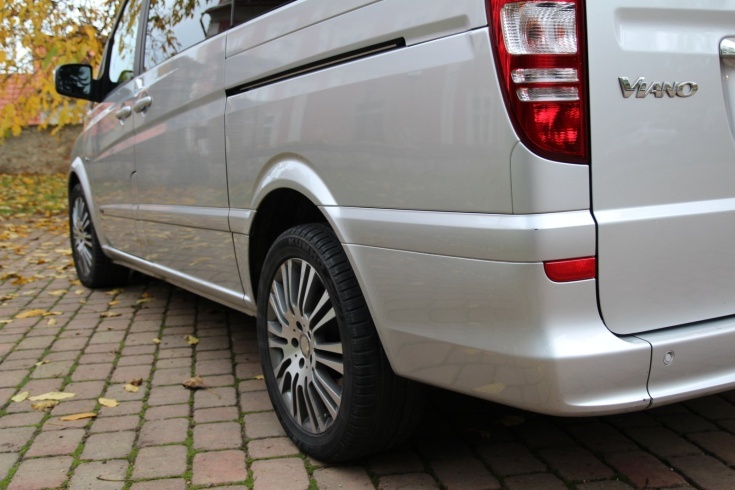 With help of an air compressor, passenger hardly feel any bumps on the way.